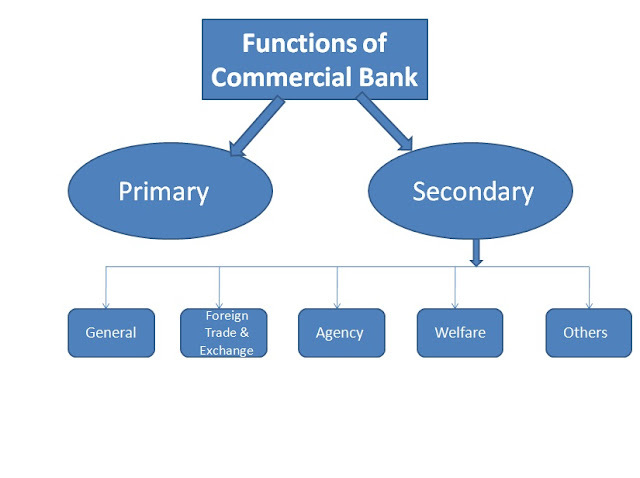 Commercial banks perform many functions. They satisfy the financial needs of the sectors such as agriculture, industry, trade, communication, so they play very significant role in a process of economic social needs. The functions performed by banks, since recently, are becoming customer-centred and are widening their functions. e) To create medium of exchange through cheque, Draft, Pay order etc. f) To issue guarantees (local) g) To discount Bills. f) To receive rent, dividend, premium etc. h) To work as representative of Central Bank. k) Any other functions approved by the Government / Bangladesh Bank. At last it is said that, commercial banks can play a very useful roles in the economy of every modern state.